Pokémon GO is a free-to-play location-based augmented reality mobile game developed by Niantic. It was initially released in July 2016 for iOS and Android devices. The game allows players to capture, battle, and train virtual Pokémon who appear throughout the real world. 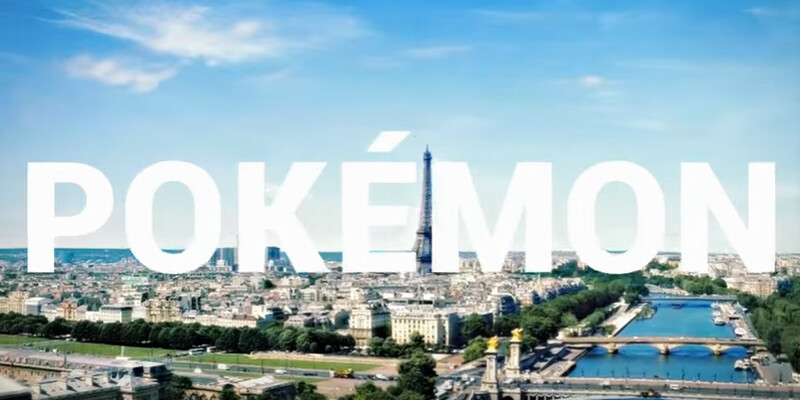 For the font used for the “Pokémon” part of the logo, is is very similar to Pokemon Hollow/Solid, and for the “GO” part, it is very similar to an outline font named Bauhaus Heavy Outline. For the sans serif font setting the text in the official trailer, it is Roboto Black. Roboto is a neo-grotesque sans-serif font family developed by Google as the system font for its mobile operating system Android. The family includes Thin, Light, Regular, Medium, Bold and Black weights with matching oblique styles. It also includes condensed styles in Light, Regular and Bold, also with matching oblique designs. You can download the full font family here. If you do not want to download and install the font but just like to create simple text or logos using Pokémon GO Font, just use the text generator below. The following tool will convert your entered text into images using Pokémon GO Font, and then you can right-click on the image to save it or click on the "EMBED" button to get links to embed images on the web.